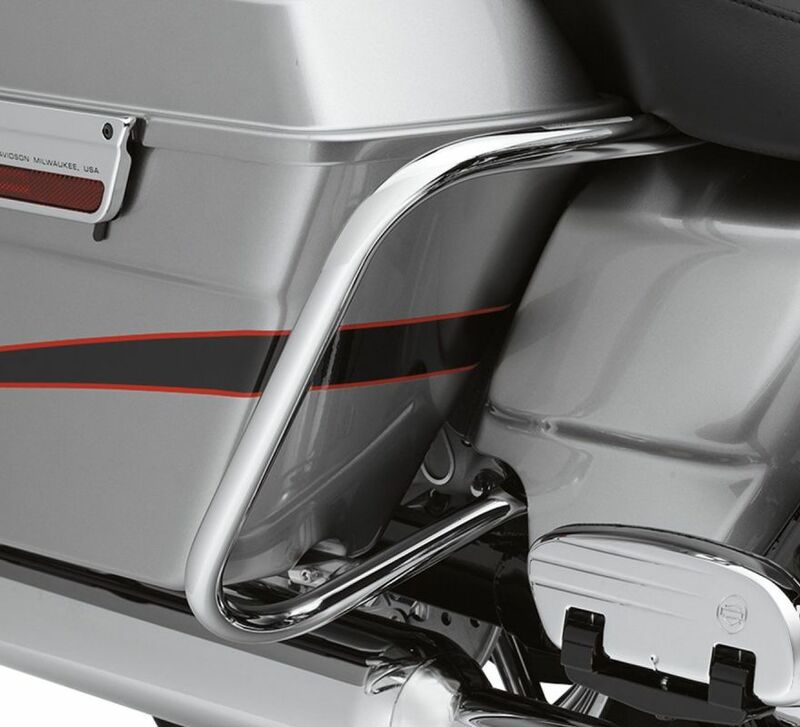 Add protection and style to your ride. 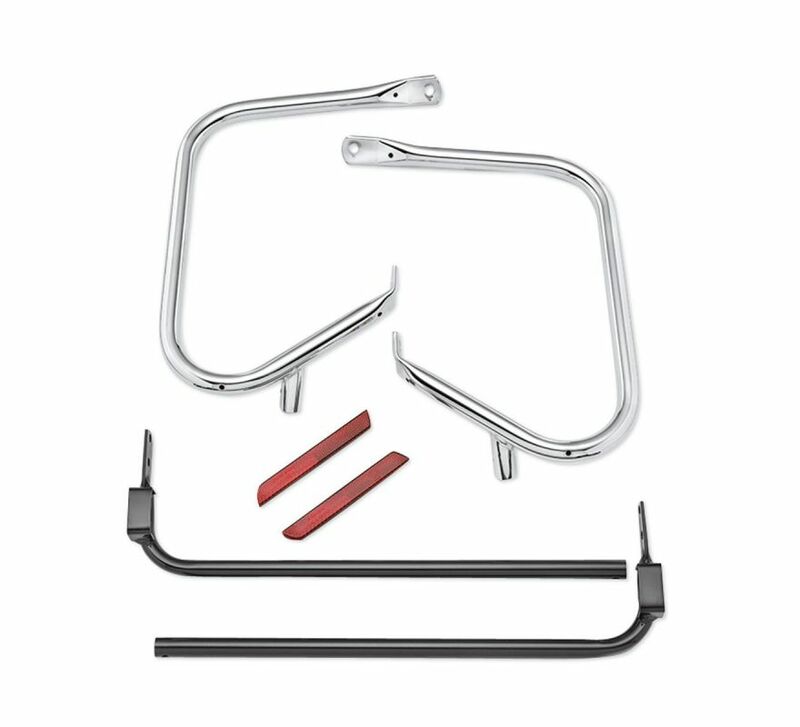 Complete kit replaces the under-saddlebag support found on Road King® Custom, Street Glide® and Road Glide® models with loop-style saddlebag guards for a traditional look. Fits '09-'13 FLHX, FLHXSE, FLTR, FLTRU, FLTRX, FLTRXSE, '13 FLHRSE and '09 FLTRSE models.